Lukáš Rittstein - Mothful. 2001/a pair of shark jaws, elasic cloth, Comfloor, Dispercoll, metal, wood, Perspex, a painting by architect Lubomír Šlapeta. Mothful. 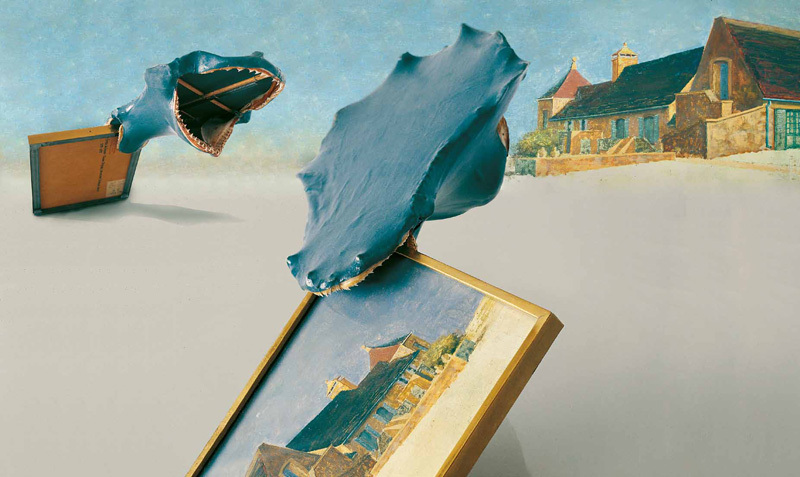 2001/a pair of shark jaws, elasic cloth, Comfloor, Dispercoll, metal, wood, Perspex, a painting by architect Lubomír Šlapeta.